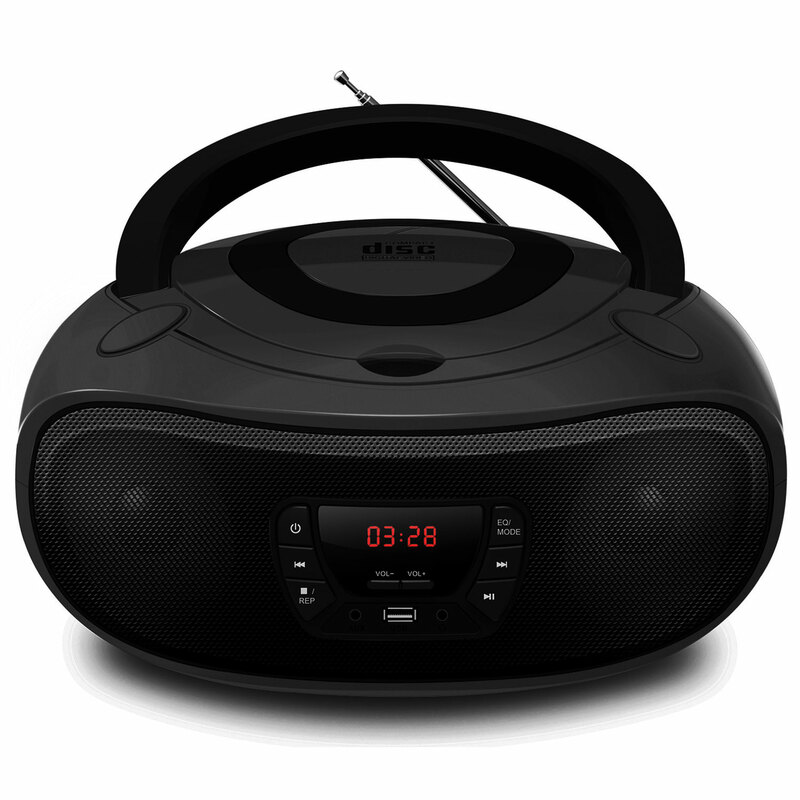 The Grouptronics GTCD-501 Stereo Boombox in black is a top loading CD player with radio, USB, MP3 player & aux in for you smartphone or tablet. Really simple to operate, simply flip up the lid for quick access to the compact CD player. Power the GTCD-501 using included UK mains cable or via 4 x size C batteries (not included) to use wherever you want, be it bedroom, kitchen, garden or workshop. The stereo boombox is equipped with quality stereo speakers which pump out 4 watts of pure joy! More than enough for a bedroom disco and impressive audio quality from a compact, portable stereo. Choose your preferred Equalizer Mode (Rock, Pop, Jazz, Classical, Flat) to get the best audio quality from your music. It provides flexible listening; play your CDs. 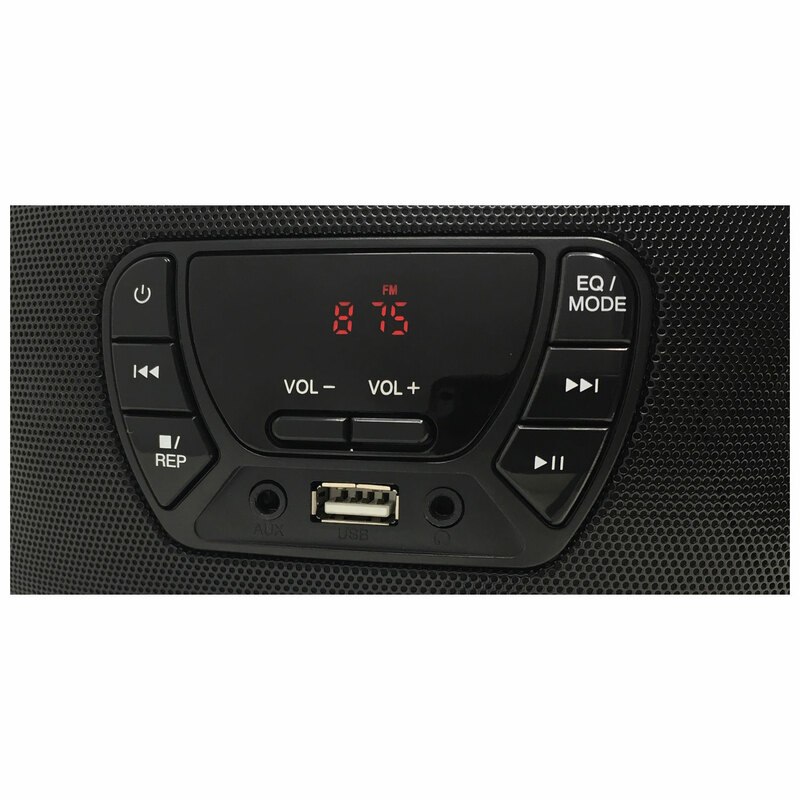 Play MP3 / WMA tracks from USB flash drive or on CD / CD-RW, connect your MP3 player, phone or tablet via AUX IN socket for playback, or listen to FM radio. Connect your smartphone, tablet or MP3 player to the boombox, or connect headphones for private listening. This great little boombox features a blacked out LCD screen with clear orange lettering making text easy to read and stylish looking. All this is combined with an amazing price, making this boombox incredible value for money.